Well guys, I feel sorry for having been so absent the last October. As I said in my last post, I started University approximately a month ago in Barcelona, and till now I’ve been settling myself there, meeting nice new people and studying. That took most of my free time away. Now that I feel more relaxed than before, and that I think I’ve got everything under control (more or less lol), I think I will be able to normally start blogging again and reading the other’s blogs. I really have to catch up, I’m sure loads of interesting stuff were posted in the last month I was away! 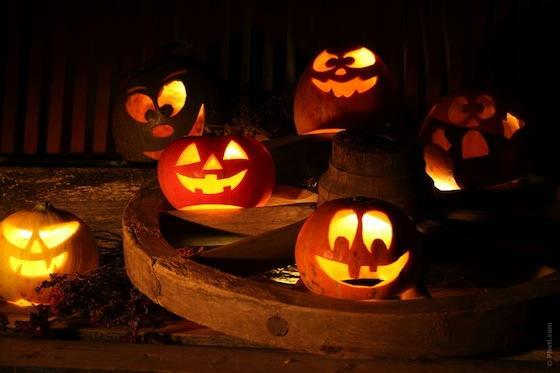 Last 31th October was the yearly celebration Halloween, one of my favourites! I’ve always loved scary stories to tell during an evening with your friends or family, watching horror movies and feeling frightened! (yeah, believe it or not, people like feeling scared in some way ^^). I watched again a classic, Tim Burton’s film “Nightmare before Christmas” and brought back many remindings and nostlagic feelings lol! Still an amazing movie. Where I live, Halloween is not such an amazing celebration like in the US or other countries where you can see the streets crowded of disguised people, kids asking for candies or sweets and houses plenty decorated with Halloween’s items like skulls, pumpkins with a candle inside and all these things. However, I still could see some people disguised like Freddy Kruger and groups of young kids knocking at the doors claiming the famous “trick-or-treat” lol. So, even if I’m late just wanted to whish you all a happy Halloween and beginning of the Winter season! Really good to read you again!!. I want pictures, Frankenstein!! How are you doinnn!! Nice to see you droppping around there!